Stephen A. Brown is the Vice President of Operations at Express Technologies, Inc., a telecommunications and electrical company specializing in engineering, surveying and planning services. With heightened proficiencies in the area of OSP and ISP telecommunications design, Mr. Brown shines as a luminary in his field, bringing to the forefront a diverse skill set and years of experience while delivering quality at the helm of the company. He has been with Express Technologies, Inc. for over 15 years. His expertise includes but is not limited to engineering, surveying, planning, cabling and wiring. 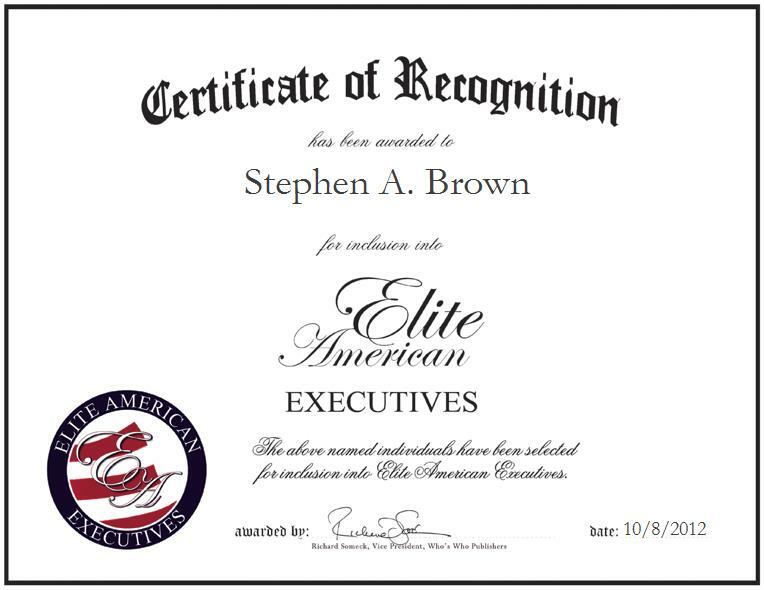 He has amassed nearly 20 years of professional experience, and he continues to strive for excellence in his every endeavor. Mr. Brown has helped build Express Technologies, Inc. from a three-person staffed company to more than 30 full-time employees since 2001. In this time Express has invested heavily in time and cost cutting software for their customers to improve the speed of services and improve accuracy of projects with the latest technology. Express Technologies, Inc. is a company that survived the dot.com bubble burst and contracts with many of the largest telecommunications firms in the world.